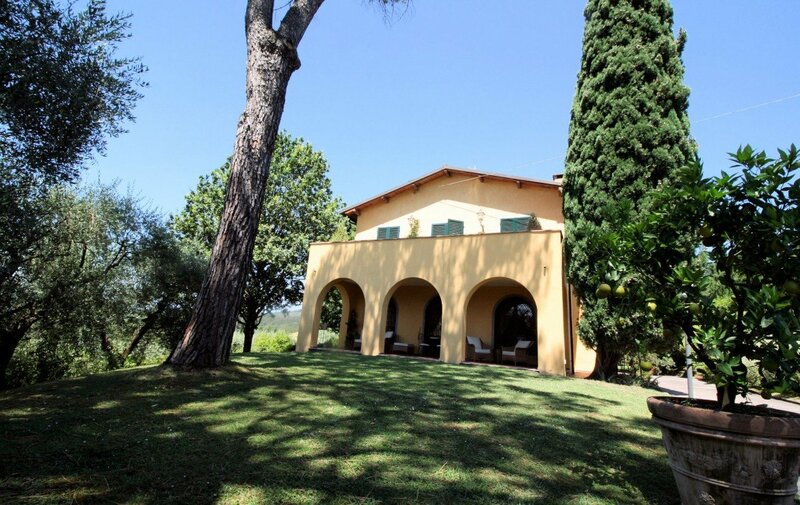 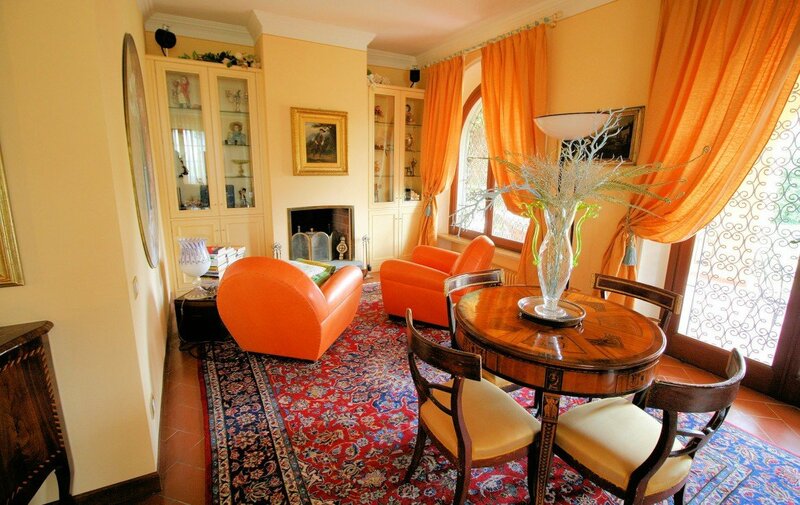 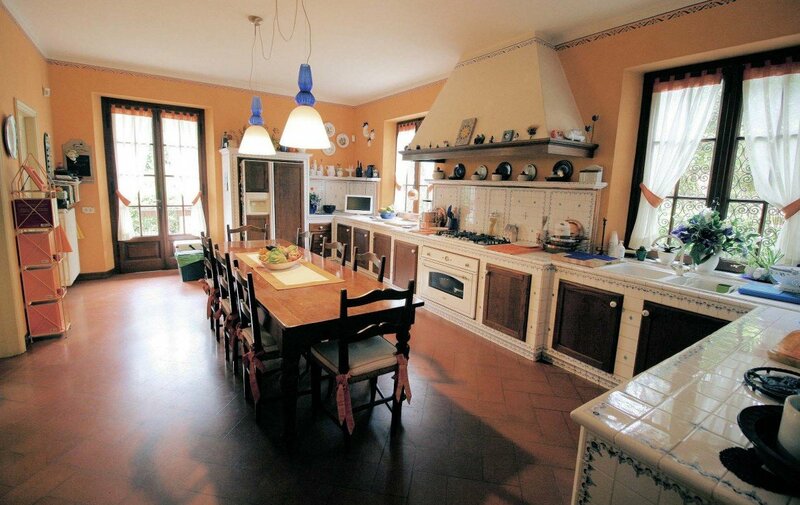 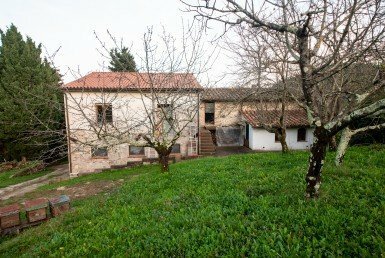 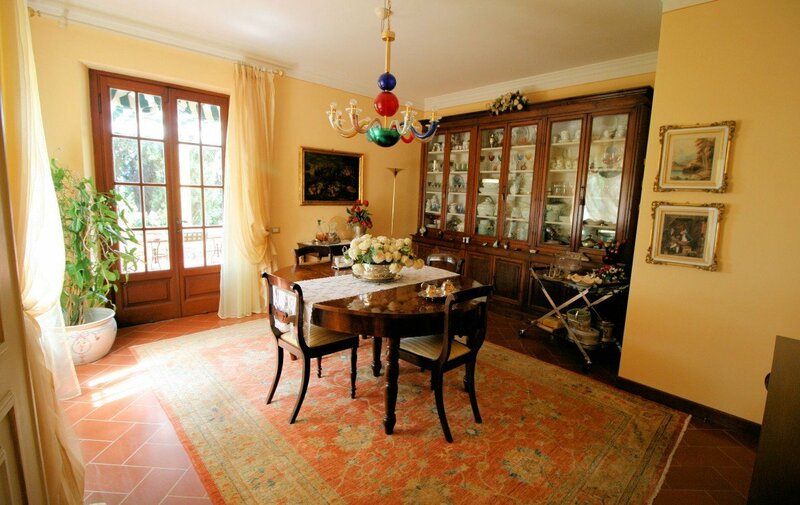 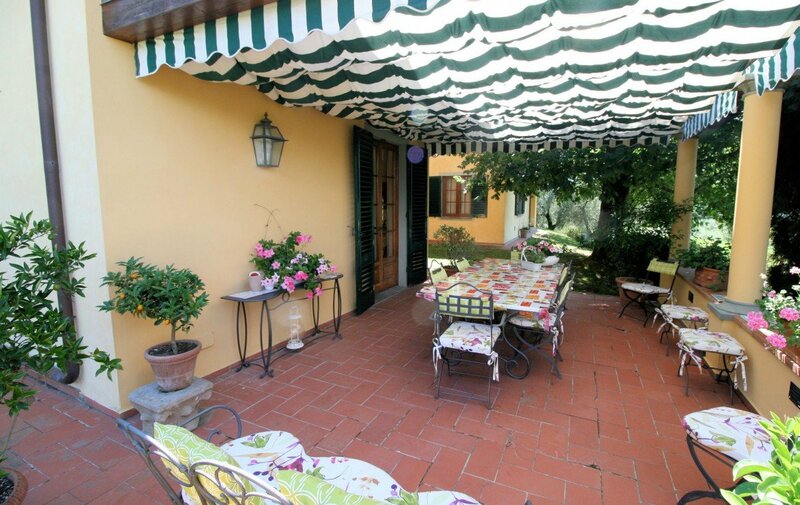 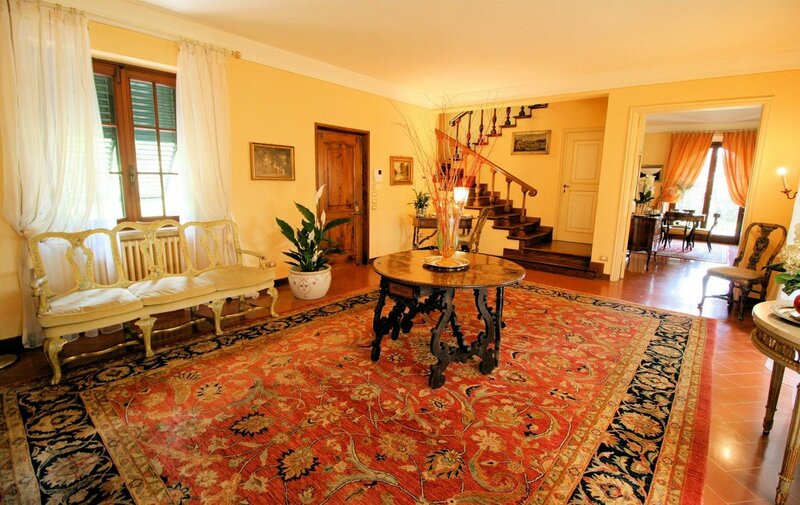 Precious villa set in a Superb and exclusive area in the first hilly area that surrounds Lucca city, the area is called Sant’Alessio and it is on the wine road of the hills of Lucca. 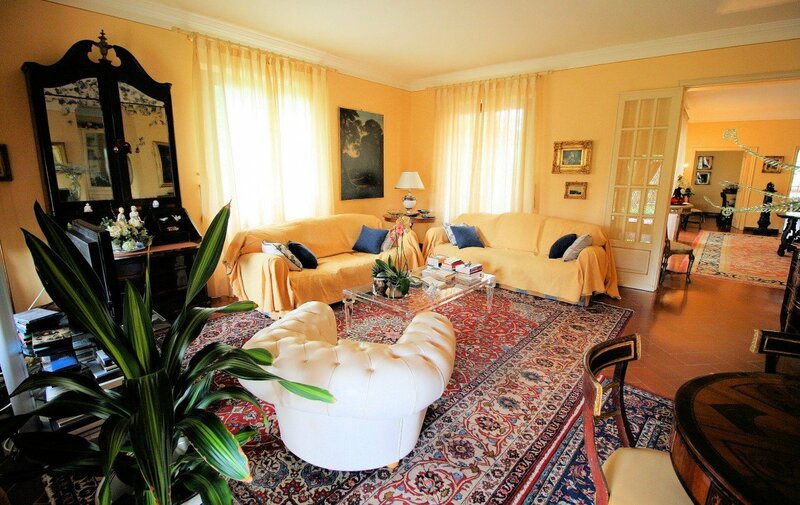 The area is at easy reach from Lucca city centre, just 4 km away, and the first amenities which are at walk distance. 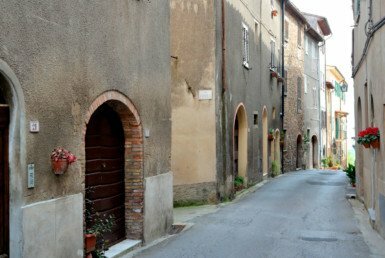 In this area there’ s a lot of tranquillity and no traffic that’s why lots of strangers bought their houses here in the last years. 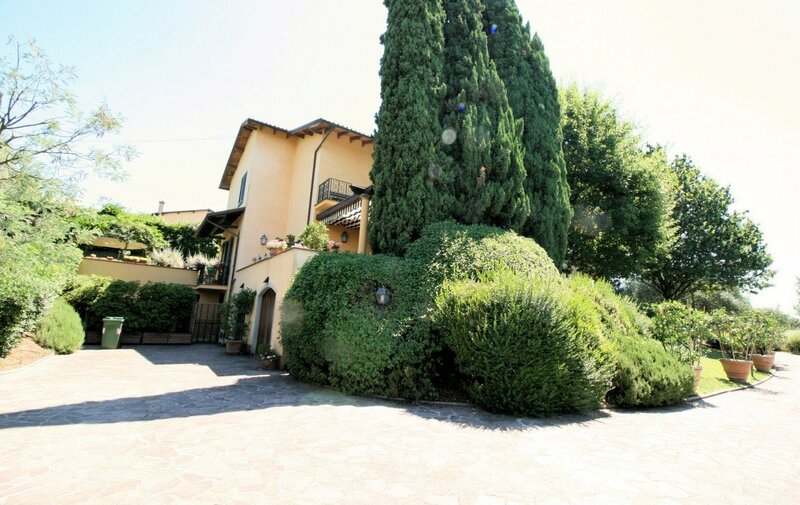 The villa rules in the centre of the park, totally fenced-in, of about 5000 sqm, almost 54.000 sqf, very well kept garden with flowers and plants which make the park colorful and perfumed. 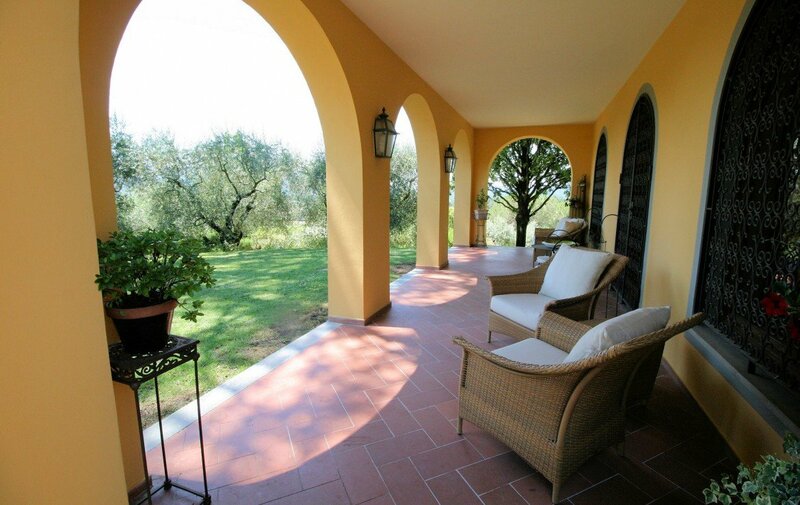 Also there are some dozens of olive trees which produce enough olive for the family needs. 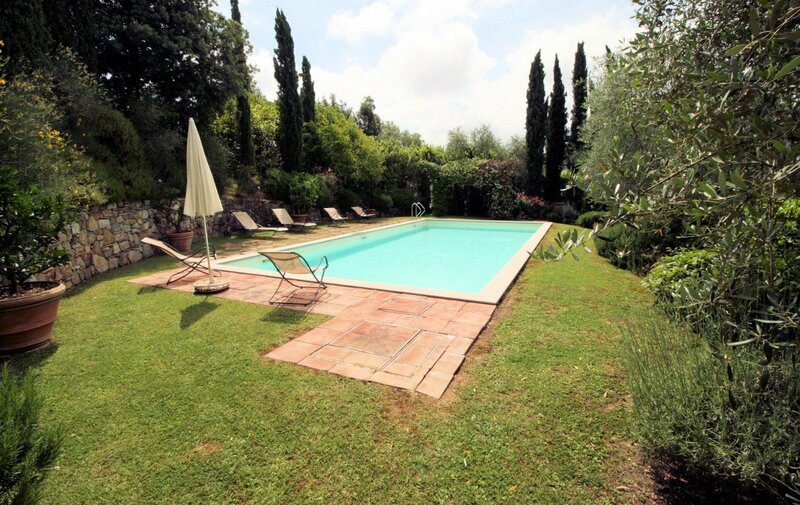 In a private area close to the villa there’s a nice swimming pool of 11×5 m with a wide solarium. 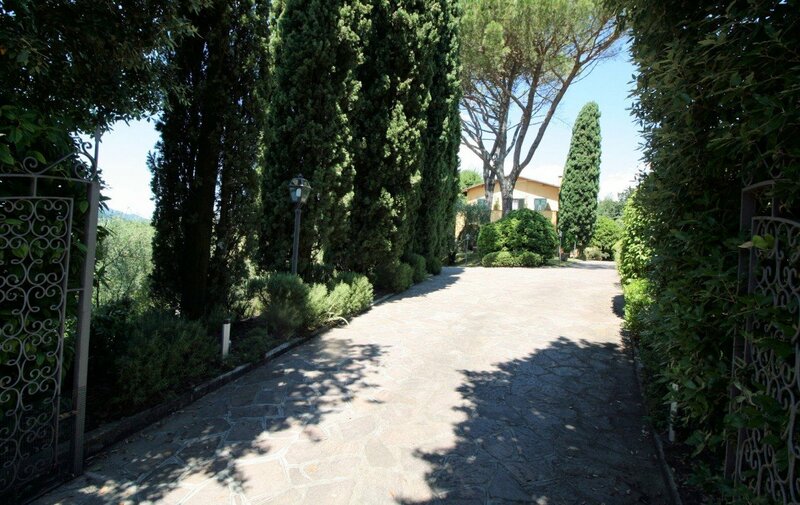 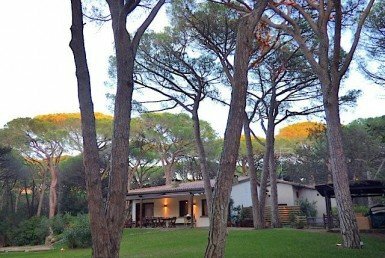 You access to the villa through a tree-lined road with cypress and hedges which enhanced the villa. 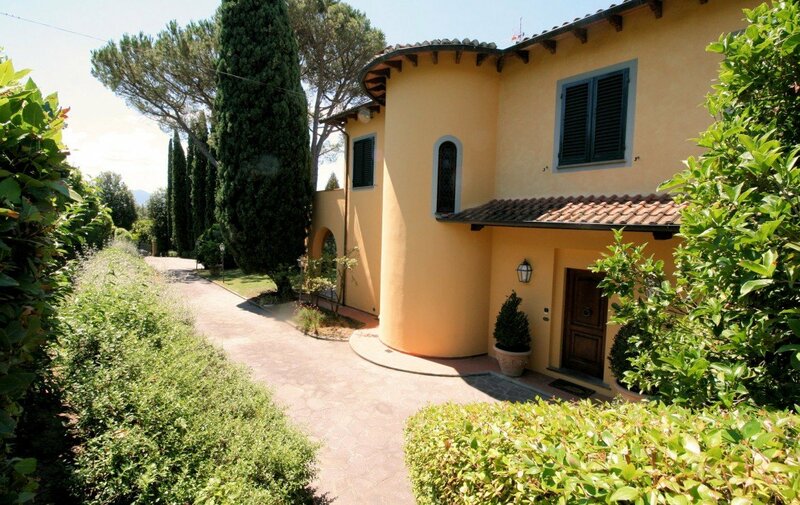 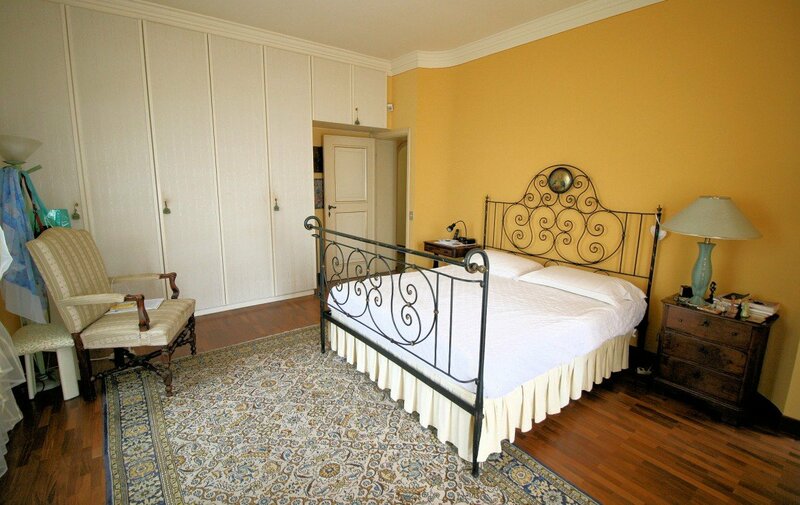 The villa is 518 sqm, 5575 sqf, on 3 floors: basement, ground floor and first floor. 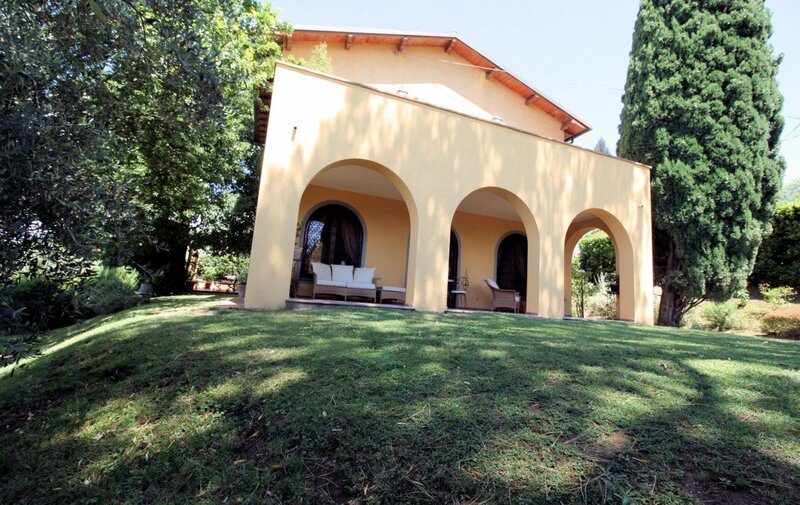  The ground floor has a wide entrance, big kitchen in Lucca style, with utility room, dining room with access to the terrace with a wood structure where you can enjoy nice al fresco meals with relatives and friends, living room with fire place with access to the porch. 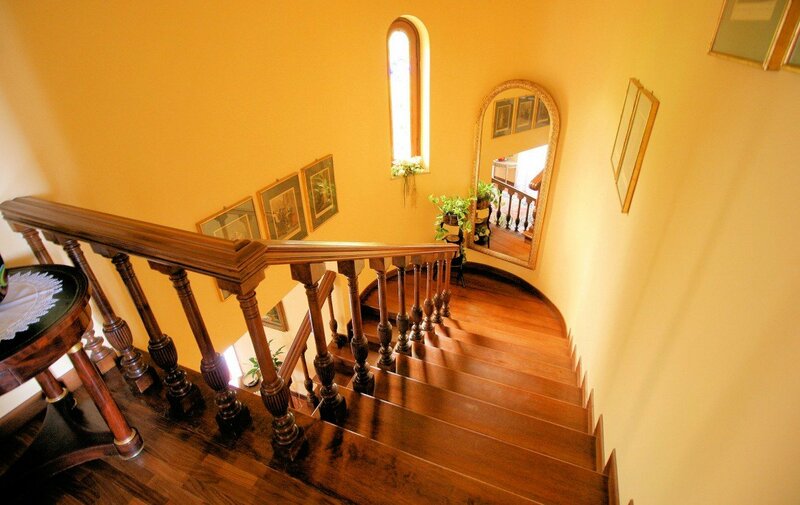 A beautiful wood stair leads to the first floor where there’s a bathroom and the bedrooms. 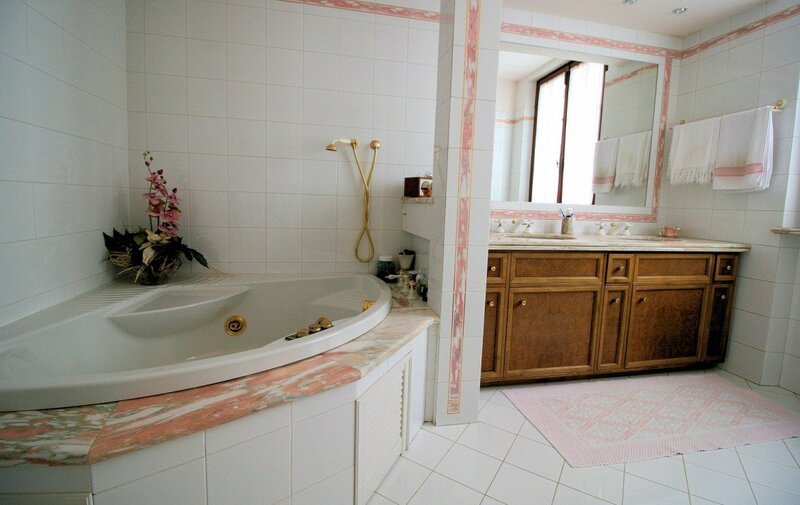 Main bedroom with walk-in closet and bathroom with jacuzzi and direct access to the terrace with a wonderful panoramic view, another bedroom with bathroom, 2 more bedrooms and another bathroom. 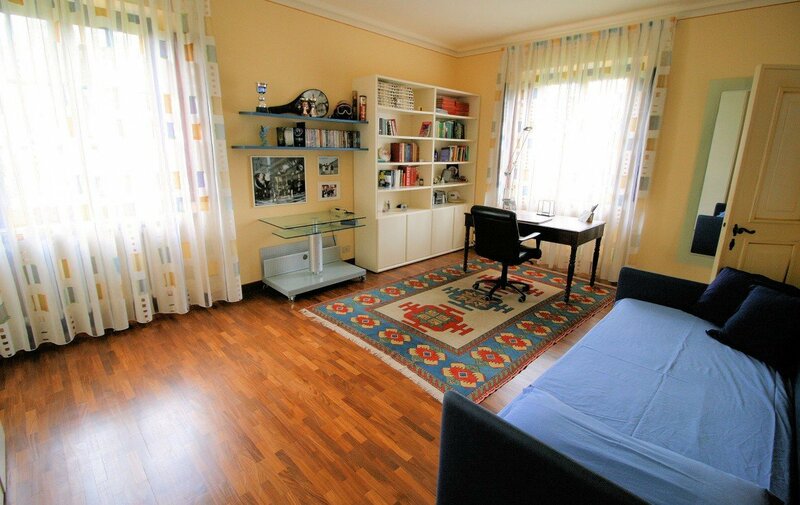 In the basement there’s a wide living room, a studio room, the laundry, utility room and a bathroom. 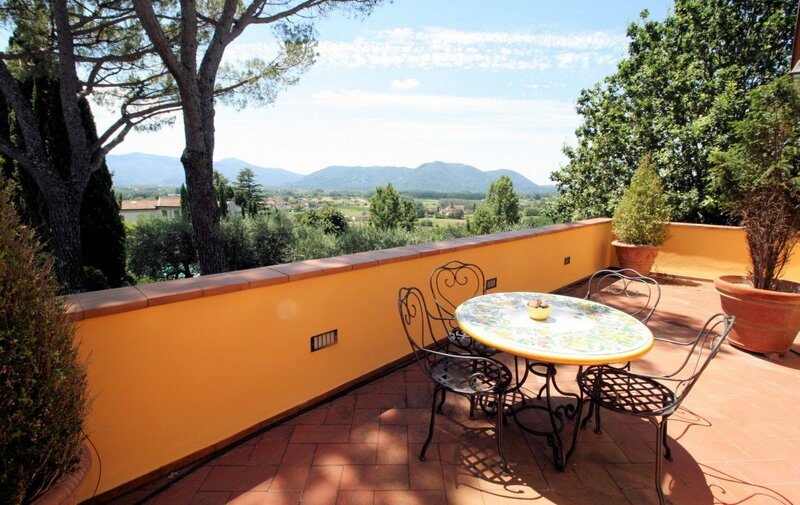 The villa is in perfect conditions and has very good finishings.